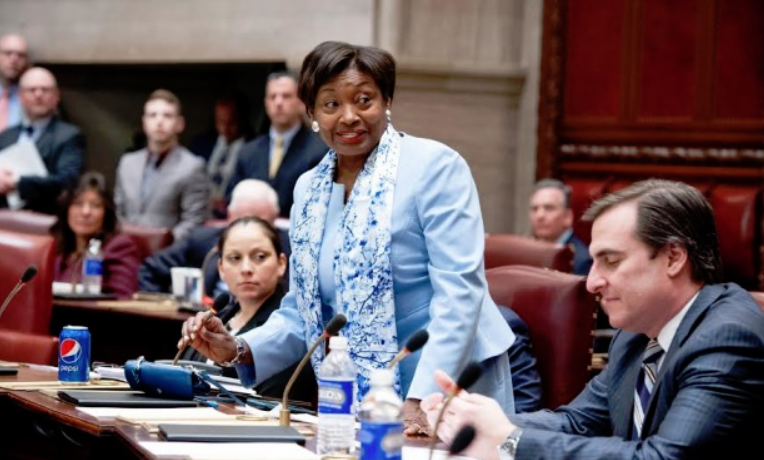 Senate Majority Leader Andrea Stewart-Cousins, with deputy leader Michael Gianaris at right. With a batch of votes this week, the Democratic Senate majority has already achieved significant election and campaign finance reforms. Nearly 23 years ago, the New York State Board of Elections created a gargantuan flaw in campaign finance laws that has been exploited by real-estate companies and other corporate interests to the tune nearly $200 million. On Monday, after years of pleas from advocates and promises from the governor, New York took a huge step toward closing the so-called “LLC Loophole,” as the State Senate—newly under Democratic control—passed a reform measure that long had the support of the traditionally Democratic state Assembly. It now awaits the signature of Gov. Andrew Cuomo, who has called for the loophole’s closure since his first successful run for governor in 2010, but has also benefitted from it more than any other candidate in state history. 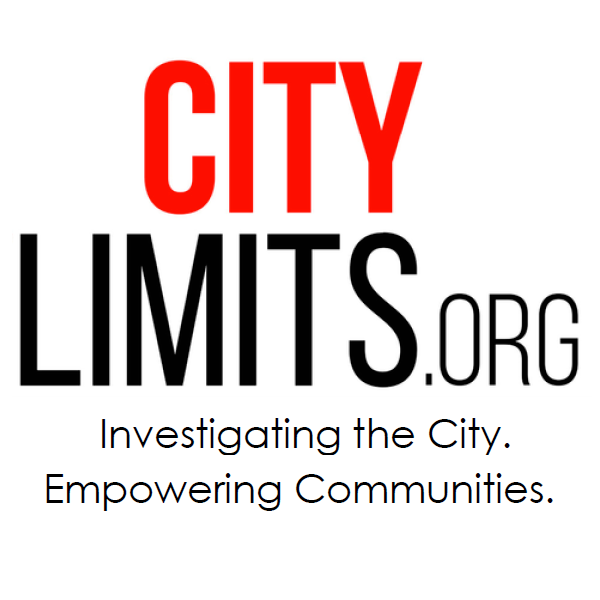 A City Limits investigation last September supported by the Wayne Barrett Project at Type Investigations produced the most comprehensive picture to date of the origins, characteristics and impact of the LLC loophole, naming the biggest givers and receivers. An LLC, or limited liability company, is a popular form of corporate organization, essentially giving a firm the legal protections of a corporation as well as the tax advantages of a sole proprietorship or partnership. First launched in Wyoming in the 1970s, LLCs now exist in all 50 states and number in the millions. As LLCs grew more prevalent in the 1990s, campaign-finance regulators struggled over whether to treat them as corporations or as individual donors. The Federal Election Commission in 1995 first decided to treat LLCs like people, and New York followed suit. When the FEC reversed itself four years later, New York didn’t follow. That meant that in New York State, each LLC could donate for a general election race up to $44,000 to each candidate for governor, $11,000 to each candidate for state senate, $4,400 to every assembly hopeful and $109,600 to each party committee—with separate, smaller limitations for contributions during a primary run. In contrast, a corporation faces a $5,000 aggregate limit each year. The problem didn’t stop there. Because a single corporate entity could create dozens of LLCs—a lot of real-estate firms form an LLC for each building they own—a single player could exhaust those generous donation limits multiple times. What’s more, because a lot of LLCs have obscure names (like “1093 Group LLC”) and there’s no systematic way to unmask them, LLC donations violated a basic tenet of campaign-finance regulation, which is that voters should know where a candidates’ support is really coming from. The bill passed by the State Senate on Monday by a 55-6 vote, which was authored by Sen. Brian Kavanagh, addresses all these issues. It mandates that LLCs be treated as corporations, meaning each would be subject to the annual $5,000 aggregate limit on donations. And if you control part or all of an LLC that donates, that contribution—pro-rated in accordance with your ownership share—will count against your individual contribution limits. The LLC measure was passed along with a package of election-reform bills. Cuomo has vowed for years to sign a bill reforming LLCs if the Senate, which has been dominated by Republicans for all but two years of the last half-century, would just send him one. It’s not been clear how big a priority the LLC issue was to the governor, who did manage to get other wins out of the GOP-controlled upper house. Combining his campaign for attorney general in 2006 and his three runs for governor, Cuomo has received roughly one of every eight dollars donated by LLCs. Asked why he kept raising money through a loophole he found so objectionable, the governor’s people have said they were simply declining to undertake unilateral disarmament. Restored to office by a landslide margin, dismissing but doing little to deflate speculation he will run for president, and knowing that his father’s political career ended when he sought more than 12 years in the governor’s mansion, Cuomo’s political future is uncertain. If he does seek a fourth term as governor in 2022, he will carry into that race roughly $5 million from this year’s run. Some of that money, one could argue, will have come from LLCs – meaning the governor will benefit for years to come from his prodigious fundraising through a soon-to-be closed loophole. But given that Cuomo spent about $43 million over four years to achieve his most recent re-election, the vast majority of his campaign war chest will have to come from someplace else. Chances are, he’ll manage. Year nine of the Andrew Cuomo era begins in Albany.